The high chairs were sold online at Amazon and at Babies 'R' Us, Buy Buy Baby, Target, Khols, Dillards and other children stores nationwide. 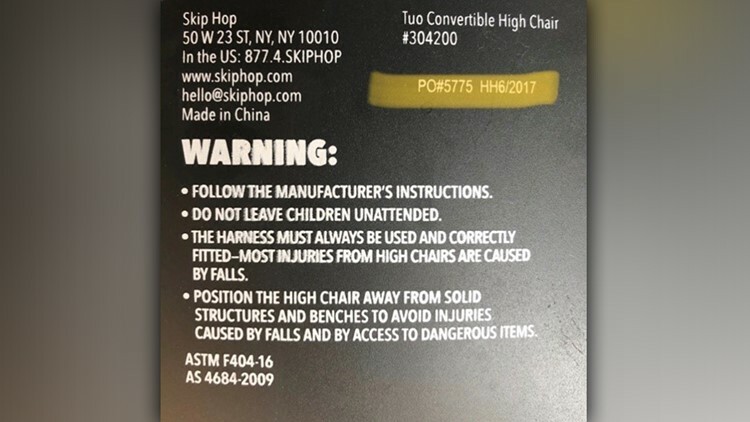 The company said the recall involved Skip Hop's Tuo convertible high chairs with charcoal gray or silver/white with clouds fabric. 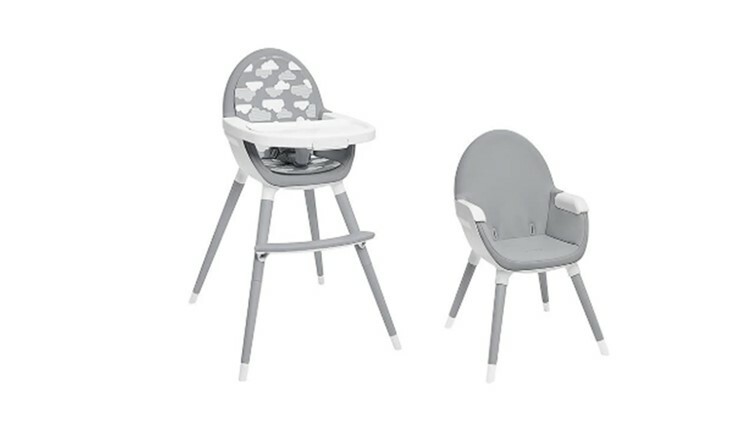 The high chairs were sold at Babies 'R' Us, Buy Buy Baby, Target, Khols, Dillards and other children stores nationwide, the U.S. Consumer Product Safety Commission said in a statement. They were also sold online at Amazon from June 2017 through September 2018.